♨ Panda 4.2 has finally arrived; ♨ Google is hiring a SEO; ♨ Facebook's new video tools; ♨ Twitter is finally getting bigger; ♨ Google+ Photos shutting down; ♨ New YouTube for mobile; ♨ unverified Google My Business listings shut down; ♨ Google Drive plug-in for Microsoft Office; ♨ Amazon rival Jet.com is live; ♨ Pocket's text-to-speech feature; ♨ ...and much more! Those of you who love getting my Weekly Marketing Skinnies in your inbox every Saturday, have been wondering why you haven’t seen them for the past couple of weeks. With that said, here’s your July edition of Weekly Marketing Skinny. Grab your cup of coffee and let’s catch up on the marketing news that matter to your business. Blog roundups have an incredible potential to build traffic and links. Whether you start your own link roundup or build relationships with folks who do, it’s a win-win. Learn more about blog roundups, plus see my short list of blogs that currently publish them. Here’s a sneak peak into the latest project I’ve been working on for Trafficology Blueprint: a video series where I walk you through all the aspects of turning a SlideShare presentation into a YouTube video. I’ll be making these videos private for TrafficologyBlueprint.com members only soon, but for now, you should take advantage of applying them to your content marketing strategy. Make sure to SUBSCRIBE to my YouTube channel to get notified of my future videos. As a visual compliment to my How to Use Periscope for Android: Your A to Z Tutorial. As a way to repurpose that post into multiple content formats, thus reaching bigger audience. To show how I do content repurposing for the Content Catapult module of my TrafficologyBlueprint.com. Now on to the marketing news of the past couple of weeks. On the other hand, Penguin refresh is months away. Hey SEOs! Looking for a new place to work? Google is hiring an SEO to help drive more organic traffic to its web properties. HA! Which products or items do people search for the costs of most in each country? Good news for Twitter – finally. Twitter gained 11 million unique visitors from May to June. Twitter launches “Safety Center” that aims to put all of the resources for Twitter online safety in one easy-to-find spot. Twitter removed background wallpaper and people are furious. Facebook Pages get new, YouTube-like tools for publishing and managing videos. Facebook announced updated controls to let users choose what they see first in their News Feeds (on iOS for now). Google+ Photos is shutting down; you’ll have until August 1st to move from Google+ Photos to the new Google Photos. YouTube for mobile gets a makeover, plus more editing tools, and the ability to watch full-screen vertical videos. YouTube says viewers are coming to YouTube specifically to watch content from brands. Even though both live streaming apps have a loooooong way to go as far as gaining audience, Periscope has a slight edge over Meerkat in the fight for users. Instagram search for desktop users is here. The gap between time spent on mobile devices vs desktop is growing. Google will shut down unverified Google My Business listings on July 28th – if that’s you, verify your listing ASAP. Google launched Google Drive plug-in for Microsoft Office. Google Maps adds Your Timeline view, showing where you’ve been on any given day. Google announced a new buy button to purchase goods directly from ads. Love this new Google Inbox update: now you can snooze an email to pop up again when you need it. Amazon rival Jet.com, the Costco-for-the-Web marketplace, was launched to the general public. Useful: Pocket for iOS now lets you listen to articles with new text-to-speech feature.  To all of you who mentioned Traffic Generation Café in any shape or form in the past couple of weeks, my whole-hearted THANK YOU. And here’s a preview of my interview for Traffic Generation Virtual Summit expertly put together by Anthony Tran. Registration for the summit is free for a limited time; register here. Another great marketing news post and you always find the good stuff. I was overwhelmed with how much information you read and I’m sure there are plenty more of course that you don’t include. I hope you know how much we all appreciate what you do because you did say it right in the beginning of this post. You’re helping us with the good stuff because who has time to read it all. Thank you for the mention, it’s always appreciated. You have a wonderful week and happy summer.